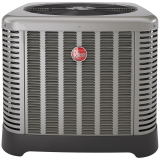 At Liberty Air, Inc., we offer our valued customers complete, professional and courteous service, maintenance and installations of all heating, air cooling and air conditioning products. We are residential and small business heating and cooling experts. At Liberty Air, Inc., we specialize in both installation and repair of residential and small business heating units. We can design and install compatible heating units for all your residential and small business needs. Even on the hottest days of the year, you can keep your home cool and comfortable while enjoying low energy costs with a high-efficiency air conditioner. 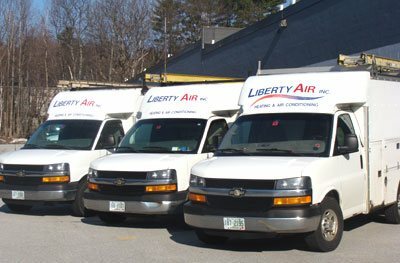 Liberty Air Inc. was started in 1988 by Brian Leclerc & Bob Durant. They felt they could deliver a better and more personalized experience in heating and air conditioning. Through the years we've had several great employees but have returned to where we found our greatest success... in being working owners. We provide reliable solutions for heating & cooling whether it be servicing and existing system, replacing an old system or creating an entirely new installation. While Bob is gone, Brian has carried on the love of what he does and has been in business for over twenty years. At Liberty Air, we listen to our customers and they trust us, frequently referring their family and friends. Nothing is more gratifying than receiving referrals from satisfied customers and we look forward to another fantastic twenty years meeting our customer's needs. We love meeting new customers! Contact Brian today for a FREE ESTIMATE and/or with any questions or requests that you may have. We serve communities in the vicinity of Manchester, New Hampshire extending north to Concord and the NH seacoast.